You’d like to send your child to a private school, but money is an issue. What should you do? Should you spend the money you’ve saved for her college education on a high-quality private elementary school? Or should you continue to save (or invest) your money so that you can send her to a top-notch college? According to many experts, it’s best to pay now and dream later. They claim that the foundation of your child’s education is established in the early years. This is when she’s not only learning the basics of reading, writing, and arithmetic but also discovering a love of learning. And remember – if you’re concerned about getting your child into a top college, then sending her to a private school may give her an advantage, especially if she’s not a straight-A student. Teachers in private schools are more likely to have the time to recognize and nurture your child’s personal skills and talents. See the full article here. While Play ‘N’ Learn Preschool does not currently have any scholarship grants available but we do offer a Military Discount. 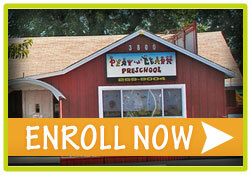 In addition we do accept the subsidized tuition plans offered by several California agencies. These agencies may be able to assist you in paying all or some of your child’s tuition. Please contact them directly to see if you qualify to receive either a full or partial tuition subsidy. 1515 N. Courthouse Rd. 11th floor.